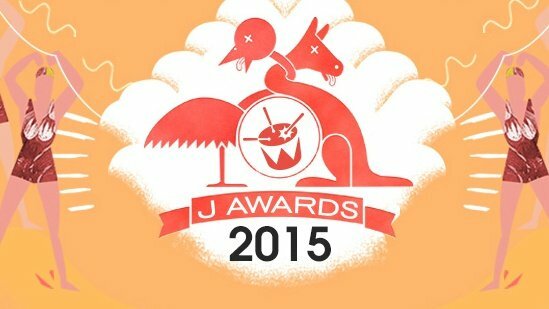 The recipients of triple J’s 2015 J Awards have just been unveiled, with Courtney Barnett as this year’s big winner. Barnett scooped the super-prestigious Australian Album Of The Year gong for Sometimes I Sit And Think, And Sometimes I Just Sit, adding yet another accolade to her burgeoning trophy case. Your Unearthed Artist Of The Year is Tired Lion, who’ve snagged tons of airplay on the j’s following the release of their breakthrough second EP I Don’t Think You Like Me, beating out the likes of Boo Seeka, Gordi, Feki and Vallis Alps. Tim Rogers scooped the prize for Double J Artist Of The Year, reigning supreme over triple j’s sister station in 2015. And the award for Australian Music Video of the year, which is an odd award for a radio station to hand out but who are we to judge, went to Life Is Better Blonde for Mine. The J Awards are triple j’s crowning Ausmusic month event, celebrating the best music being brewed in our own backyard. The station has also been putting on All-Aussie instalments of their usual programs to celebrate the November-long event, including The Racket, Like A Version and Live At The Wireless. Check out the full list of 2015 J Awards winners, below, along with Life Is Better Blonde’s J Award-winning video, below.